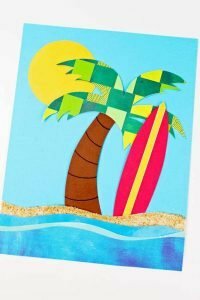 Today I was thinking that there should be an easy go to list of crafts for kids during the summer vacations. Because its nearly impossible to keep your kids entertained all the time. You are bound to hear “I am bored” on repeat a million times at least. 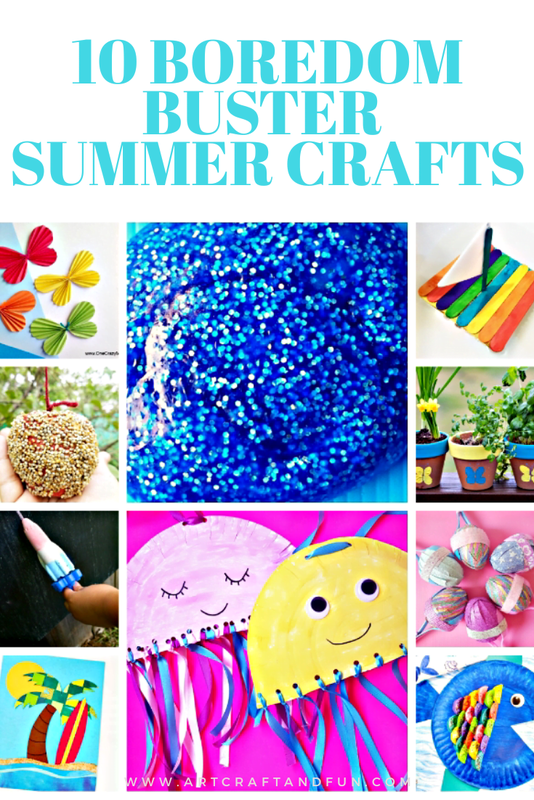 These 10 Easy Boredom Buster Summer Crafts For Kids are an answer to that. I tried to find the easiest and most doable crafts, which at the same time are different from each other so that your kids wont get bored of crafting. 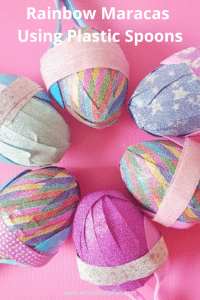 So let’s get started with these gorgeous and fun crafts. No summer crafts list can be completed without a slime recipe. 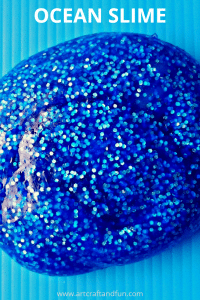 And this Glittery Ocean Slime recipe uses just 3 basic ingredients. Its the easiest slime recipe i have ever tried. The color and feel of this pretty slime has made it very popular with the kids. 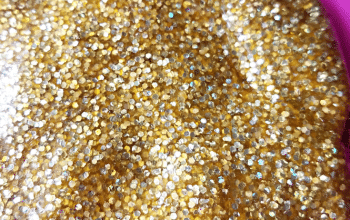 Don’t miss out on this glittery slime. You can find its full instructions by clicking Here. 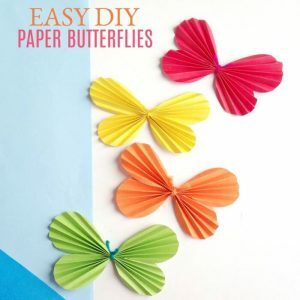 These gorgeous Easy Paper Butterfly Craft For Kids is made by One Crazy Mom. These rainbow colored butterflies are super easy to make. All you need is some colorful paper, pipe cleaners and glue. The kids will love making these and you can even hang them around the room or on the windows for a pretty effect. For full instructions click Here. Water play is a must in the long summer vacations. 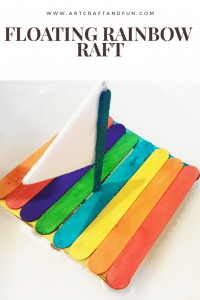 Which makes this Floating Rainbow Popsicle Raft one of the funnest Summer Crafts this season. And the past part it that it actually floats!! For full instruction click Here. Now this craft really fascinates me. This pretty Summer Paper Weaving Craft For Kids is made by Meraki Mother. It looks complicated to make But let me assure you its actually pretty easy to make. You can check out the full instructions Here. Summer is the best time to explore and observe nature. This is the time when we can teach kids how important nature is. 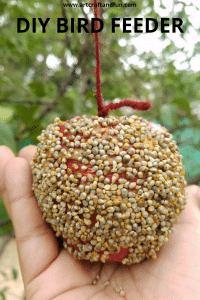 So to incorporate some nature fun why not try these super easy 2 ingredients DIY Bird Feeder Craft. This was such a fun and easy craft to make. And i loved the look on my daughter’s face while she waited for the birds to come feed on these. For full instructions click Here. 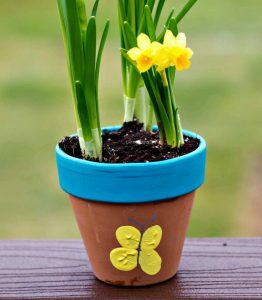 Another awesome nature related activity for summer crafts is the Thumbprint Flower Pot by Upstate Ramblings. These are such cute flower pots. And the best part is that you can even make these with your toddlers. This is a must try for me. For full instructions click Here. Now this is such a cute musical craft to make with your kids. It’s perfect for a rainy day in summers, when kids can’t go out. They can instead make some music with these easy to make plastic spoon maracas. It’s a must summer craft this season. For full instructions click Here. This has got to be the prettiest paper plate fish craft i have ever seen. 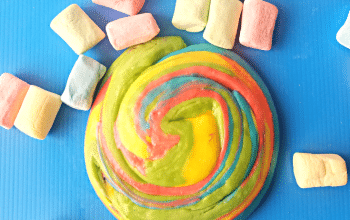 Its just so bright and colorful and super easy to make. 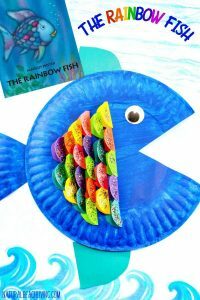 This Super Cute Paper Plate Fish Craft For Kids is made by Natural Beach Living. You can find its full instructions Here. Everyone has heard of yummy fruity popsicles. They are a trademark of summer. 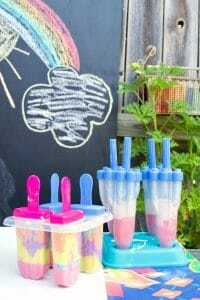 But these DIY Bomb Pop Chalk Popsicles made by Jennifer Perkins are actually chalk!!! I couldn’t believe it when i saw these. 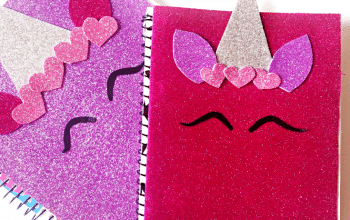 Not only do they look adorable, they are also fun to make. A must try for sure. For full instruction click Here. This is such an adorable craft to make with little kids and older kids alike. 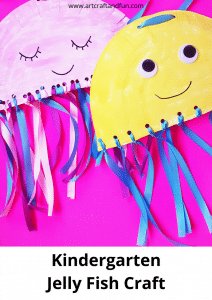 The googly eyes and the pretty smile make these Paper Plate Jellyfish a favorite craft. This another very popular craft of mine. Its a must try Summer Craft. For full instructions click Here. All of these crafts are super easy and loads of fun to make. 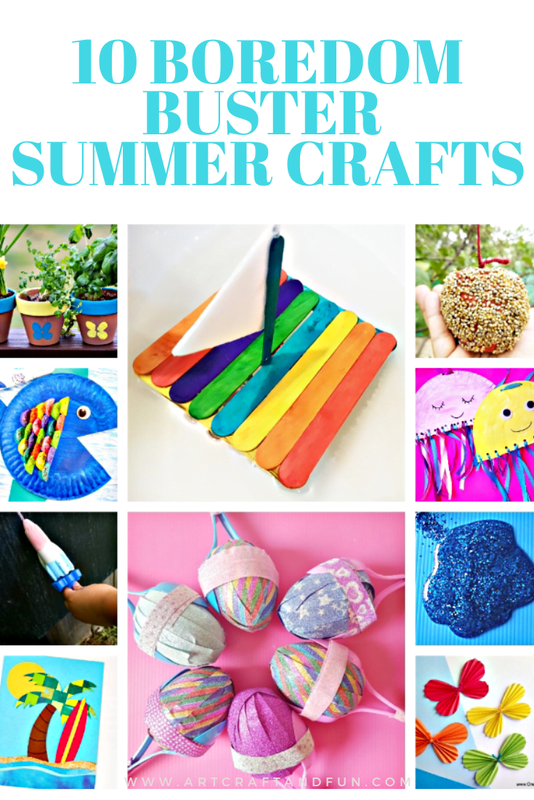 Make these crafts with your kids this summer to create some everlasting memories. Happy Crafting With Us!! !